Visual Studio Code>Themes>Darcula Theme - WebStorm EditionNew to Visual Studio Code? Get it now. 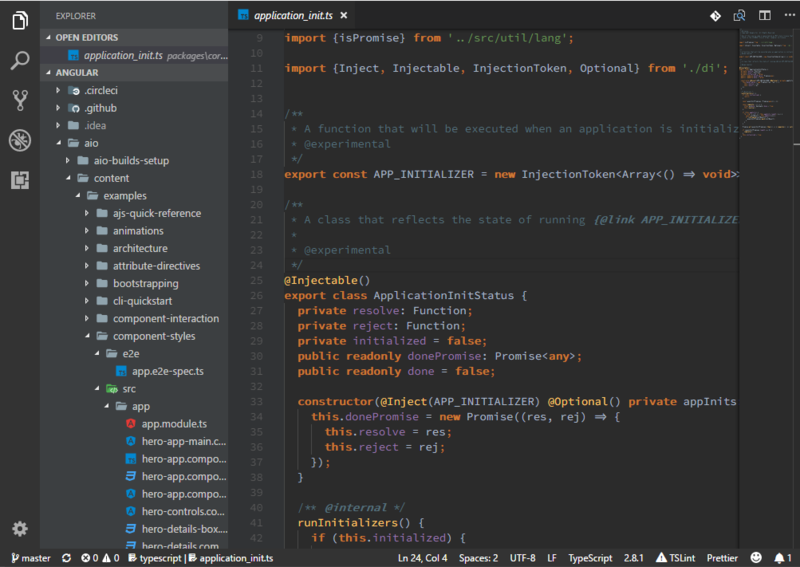 This is a Darcula Dark Theme mirroring colors in the Darcula theme in WebStorm by JetBrains. This theme start from Dracula/textmate and then fine-tuned to WebStorm's Darcula Theme. This theme now can work with vscode-angular-html to support Angular template. ClassIO: Class IO shows class relationships with its interfaces and parent class in a non-obstructive way. Class IO is an alternative to ClassLens. F12: Open File: Extending Go to definition to open file when the look up symbol is a file name with relative path.